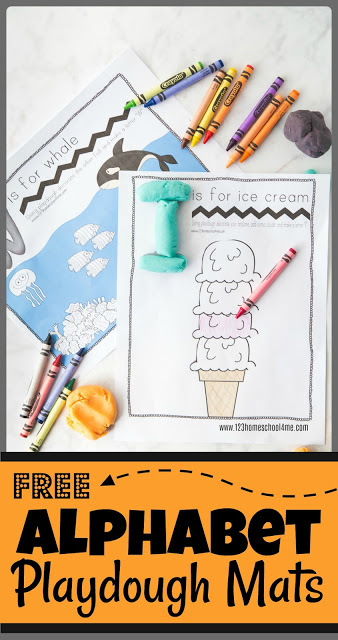 Playing with playdough is fun and relaxing, but it can also help to improve fine motor skills and counting skills. 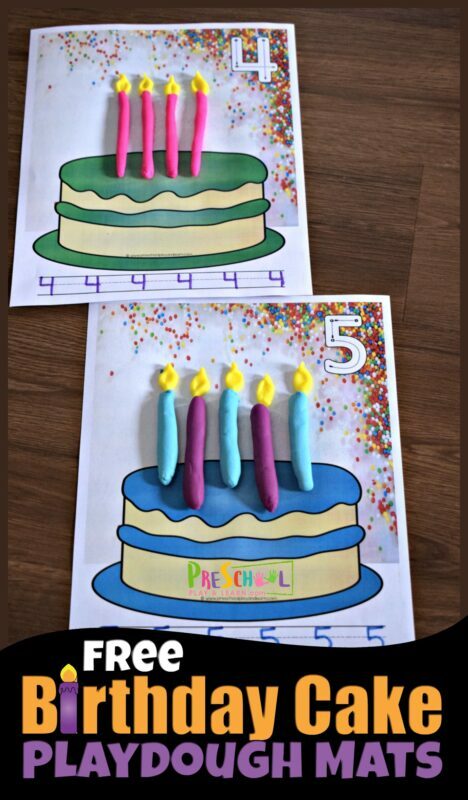 These Winter Playdough Counting Mats fun mats are a great way to practice counting from one to twenty! 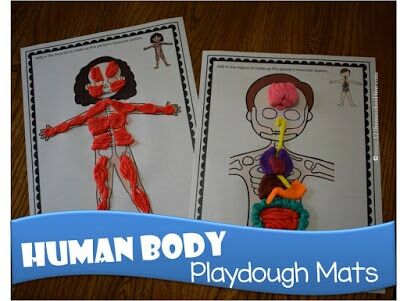 Kids love playing with playdough! 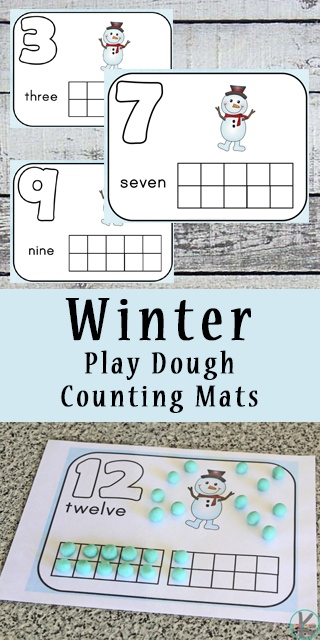 These Winter Playdough Counting Mats draw on kids natural enjoyment of playdough to make a fun counting math activity perfect for winter. 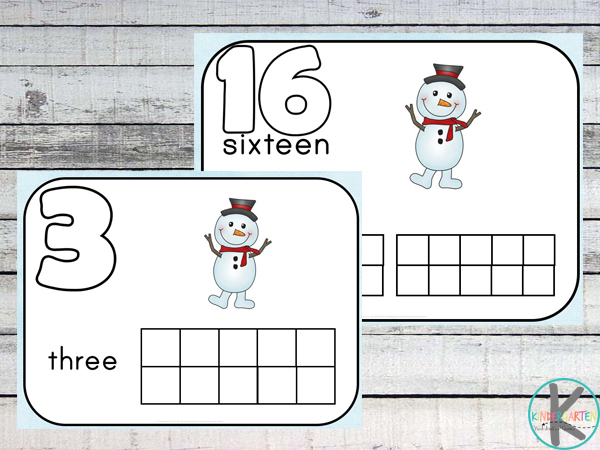 This 22-page Winter Playdough Counting Mats pack contains a winter-themed playdough counting mat for each of the numbers one through twenty. 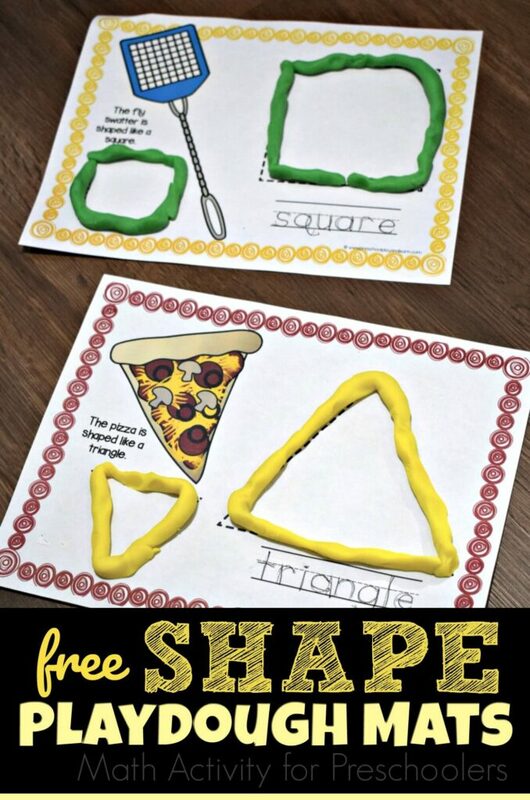 To prepare these playdough mats, I recommend laminating them. Alternatively, you could place them in sheet protectors, but that would not be as sturdy as laminating. On each mat, you will find one large number. This is great for number formation. 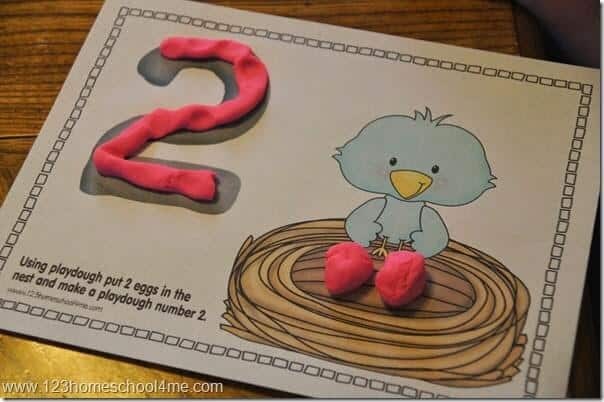 Your child can form the number out of playdough and then move onto the counting part of the mat. Then they can add the correct number of balls of playdough or snowflake shapes to the number frames. Then they can they make their own snowflakes or snowballs out of playdough; we used light blue play dough with glitter mixed through it; placing the correct number around the snowman. They could also use star or snowflake sequins instead of play dough. Alternatively, if you have laminated these mats, your child can use them to practice their handwriting as well. 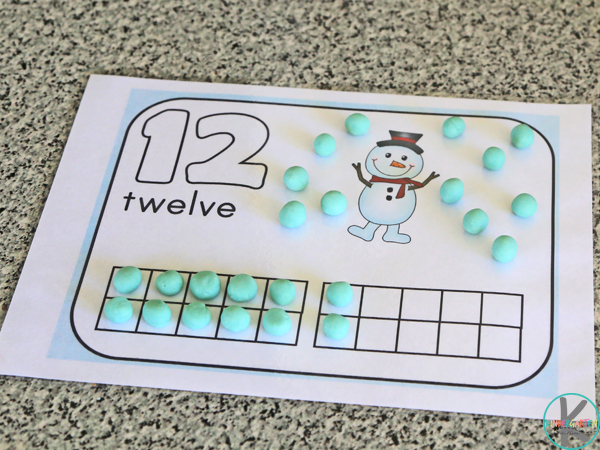 Using a dry-erase marker, you child and trace the number, draw the correct number of snowflakes or snowballs and then place the correct number of a dots or crosses in the ten frame. They could also use math counters, cut out shapes, foam stickers or game board pieces on these mats as well. Once they ready to move on, you could use these mats for simple addition and subtraction practice. 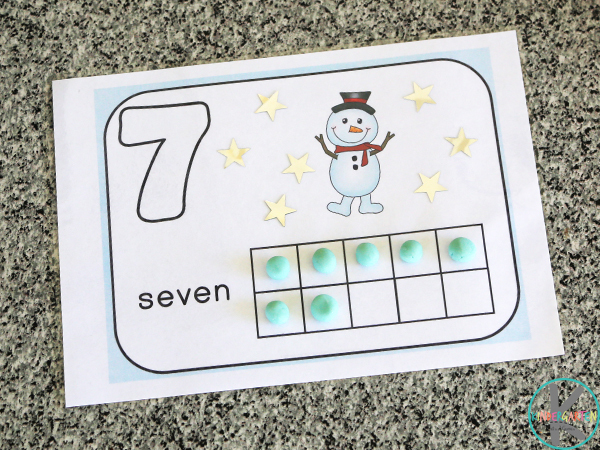 Using two different colours of play dough, have your child create problems around the snowman and in the ten frames, for example on mat number 5 they could add two blue snowflakes and three white snowballs to equal five.